If you would like to save some time at your first visit, you may print and fill out the our First Visit Forms. Call our office should you need some assistance (602) 553-0440. How to use the Abortion Pill (a.k.a. medical abortion) and what to expect while taking it. Post procedure instruction and what to expect after you have had a surgical abortion. Read this information carefully before taking Mifeprex and misoprostol. It will help you understand how the treatment works. The State of Arizona requires that women having an abortion must have a consultation with the doctor at least 24 hours prior to the procedure. The state requires us to give you certain pieces of information at that consultation. This information can only be given to you in person by one of our doctors. This means that you will need to make two visits to our office, one to receive the state-required information, and once for your abortion procedure. We apologize for the inconvenience. Please understand that this process is required by state law. Arizona law requires that a minor seeking an abortion must have the consent of a parent or guardian. The law only requires one of your parents to give consent. On the day you come in, you and your parent or guardian must come to our clinic together. If your parent can’t come with you on the day of your procedure, the two of you may come in together on an earlier day so we may obtain consent. Both you and your parent must bring a government-issued photo ID such as a driver’s license or a passport. If you do not have a government-issued photo ID, you must bring an original copy of your birth certificate. If you and your parent have different last names or different addresses we will need to see documents that explain this such as a marriage license or divorce decree. When you call for your appointment, our staff will assist you in determining what documents are needed. If you feel that you cannot obtain the consent of one of your parents to have an abortion, you may attempt to obtain a court order allowing you to have the abortion without parental consent. Our staff can assist you with this process. The forms necessary for this process are available in our office or here. Family Planning Associates (FPA) Medical Group is one of the most respected abortion clinics in AZ. We are a member of the National Abortion Federation (NAF) and conforms to the standards for abortion care determined by physician members of NAF. We are Licensed and Inspected by the Arizona Department of Health Services. Here's a great editorial from the New York Times about how the creation of "fetal rights" has cost women their rights. Basic American freedoms are at risk. On Monday, the high court announced that it would not review two lower court decisions that temporarily banned Louisiana and Kansas from cutting Planned Parenthood's Medicaid funding. 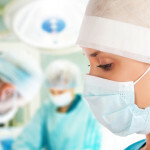 Family Planning Associates Medical Group of Phoenix, Arizona shared a link. Add your name! Bosses have no place in your decision to use birth control! The Trump administration has ramped up its attacks on birth control access again. We won't accept these archaic attempts to control our bodies and health. Add your name to push back now!